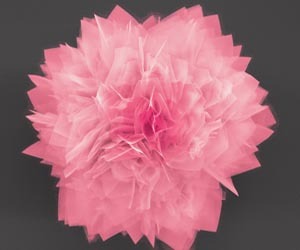 Researchers from North Carolina State University have created flower-like structures out of germanium sulfide (GeS) - a semiconductor material - that have extremely thin petals with an enormous surface area. The GeS "nanoflowers" have petals only 20-30 nanometers thick, and provide a large surface area in a small amount of space. The GeS flower holds promise for next-generation energy storage devices and solar cells.